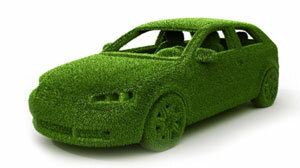 X-OUT is committed to providing 100% SAFE, organic and environmentally green Green Ribbon products to the cleaning, automotive and pet industries throughout Australasia. We continue to be passionate about the development, manufacture and distribution of an ever-increasing range of organic and environmentally green products. 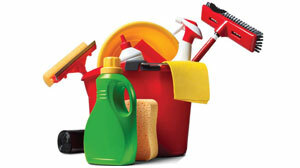 In addition to the current line of commercial cleaning products that are presently available and also in development. 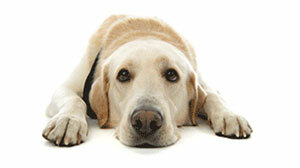 X-Out Organic Pet Care products help you eliminate those smells and stains that come with our furry friends. Perfect for people who care about the health and safety of their pets, their family and the environment, X-Out Organic Pet Care products are completely non-toxic, natural and safe so you can even spray directly onto your pets and bedding. X-Out Home Care “Green Ribbon” Cleaning Products, for just about all of your Household Cleaning Requirements are tough on dirt, stains and germs. Formulated with natural ingredients, our cleaners are non-toxic, non-allergenic, and they are the Perfect Solution for people who care about the Environment. 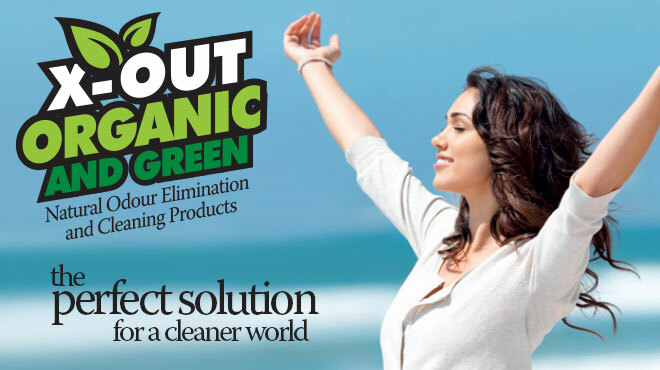 X-Out Organic and Green Commercial non-toxic, 100% Safe, Cleaning Products are perfect for cleaners that care about the Health and well being of their staff, their customers and the Environment. They are safe to handle, safe to use. No need for special protective measures for your staff, or any concerns with spills. 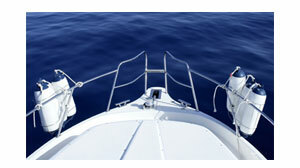 Keep your marine craft ship-shape and odour free with X-Out Organic and Green Marine Cleaning Products. Safely clean your boat, equipment and tools safe in the knowledge that you are using safe, non-toxic products that won’t harm the environment or marine life. Clean, shine and deodorise your pride and joy ansd even clean within the confined space of your vehicle without breathing harmful fumes with X-Out 100% safe non-toxic, natural products. X-Out Auto Odour Eliminator will permanently eliminate stubborn odours such as stale food and cigarette smells and not simply mask the smells with perfume. 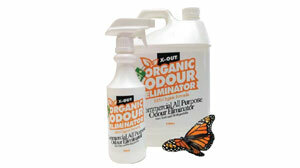 X-Out Organic Odour Elimination DIY Kits to tackle commercial odour elimination projects. Safely eliminate odours on a larger scale such as Commercial, Rental, Investment, Boarding House properties from cooking, tobacco, mould and mildew smells at the source, safely without the need for gloves or masks. 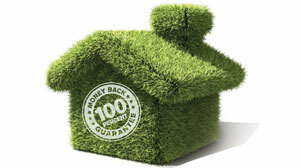 Safe for People, Plants even Tropical Fish in Tanks.